^ from: www.thefruitdoctor.com - Don't let cancer win. 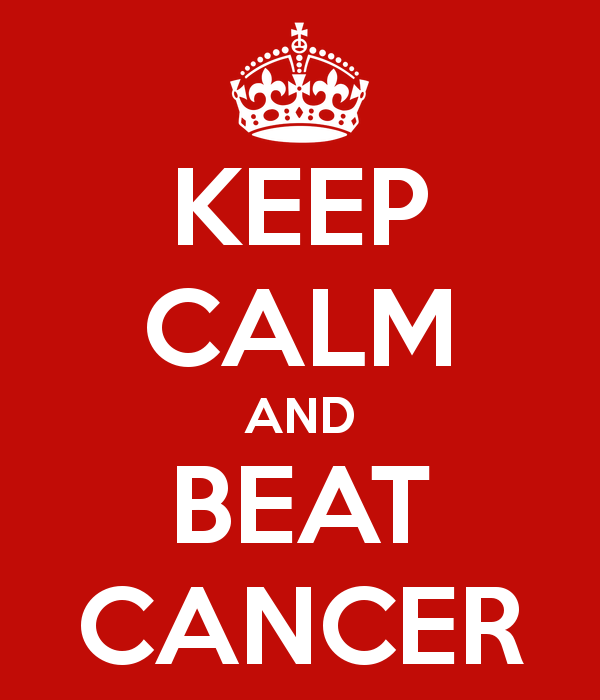 Take the fight to cancer and defeat it! Some people deep with cancer may not have much longer to live. So in these cases, it is best to offer quality experiences just to offer peace of mind and to provide positive reinforcement while dealing with something as cruel as cancer. Famous People Who Died From Cancer. So when it comes to cancer, it is no joke. These are among many people to die from some form of cancer. I want to wish those who are battling cancer well in winning their battle with cancer. Getting the best treatment and perhaps detecting it early will both make big differences in winning against cancer. Most of you may know me for trying to bring positivity to a negative world. Dealing with cancer is absolutely a time where we need each other in trying to offer support and well wishes to people. Cancer can cut anyone's life short. People battling cancer need all the support and love they can get. Even if people don't ask for sentiments or support, at least it doesn't hurt to offer love and well wishes to those dealing with some form of cancer or cancers. So if you are someone you know is battling cancer, I personally would like to wish the absolute best to everyone trying to beat out cancer. To those battling cancer, I want to extend to you my best wishes and hope you'll be well. To those whom have lost their battle with cancer or know someone who died from cancer, my condolences are with you, as I am terribly sorry for the tragic loss(es) among your family and friends. To those whom have had cancer and defeated cancer, congratulations! We need people like you to help encourage others that beating cancer is possible. You should be examples to show that we can be stronger than the cancer and not let cancer rule our lives. To everyone in the health care industry helping others beat cancer, I want to thank all of you and salute all of you. Even more worthy of my respect is all the various hospitals and such worldwide researching new ways to help others defeat cancer. There may eventually be a time when cancer can be beaten easily and effectively no matter what stage it is in. While we await when that time actually comes (if it does), I am still forever grateful and thankful we have such strong support and vast resources to help battle cancer and defeat cancer. Support from fine doctors and nurses and such is very much appreciated to help us win against cancer. With further research and with loving support and care from others, we can cure (not just treat) cancer and enjoy living life again. Once again- thank you doctors, nurses, hospitals, and other individuals in helping us battle cancer to those who have cancer. There are many people and groups committed to defeating cancer both minor and major. This section features various organizations and such committed to educating or helping end cancer. This section was meant mostly for my American audience. You may want to look elsewhere online for any online resources on cancer for your nation or for your native language. I am not sponsored by any of the groups I will make mention to. I am only offering this for those who may need some assistance. • For my American audience, learn everything you want about various forms of cancer by visiting the American Cancer Society's official website at www.cancer.org. • One of the more popular ones is Stand Up to Cancer, which you can visit their website at www.standup2cancer.org. • Breast cancer is certainly a major cancer. The Susan G. Komen for the Cure Foundation is the most popular group for breast cancer. Visit ww5.komen.org and shop for goods to promote breast cancer awareness at www.shopkomen.com. • Have prostate cancer? Know someone dealing with prostate cancer? Visit www.pcf.org to visit the official site of the Prostate Cancer Foundation. I may add some other resources in future posts, but I wish all of you the very best if you or someone you know is dealing with cancer. This was a not-so-nice post here on "John's Blog Space," but I am pretty sure this topic is much appreciated to discuss and share. I care deeply and am committed to offering material that I hope will be beneficial and helpful. I hope this post is something helpful and useful to you and others. Your involvement with my blog(s) and the posts I make mean a lot to me. I never post anything that I think lacks any value or importance. Since we live in such a negative world, I just want to offer positive material in a sincere and heart-felt manner. This post has concluded for the most part. My best wishes are with everyone dealing with cancer. I hope you are able to defeat cancer and return to living life and enjoying life. Even with difficult topics, I try to offer something positive and helpful. I am not trying to be a hero or a visionary- all I want to do is provide positive energy and hope to those who may most need them. I hope you appreciate my efforts. On a lighter note, please Subscribe and Follow if you enjoy my online work. Thank you for reading. And more than ever, take care and be well.